What am I doing here writing this blog entry? Simple, Premier suggested I share one of my stories from 27 years of doing Premier Jewelry Shows and that I share it via “blog.” Never having written a blog entry before, I had to ask, “how do I do that?” Needless to say, after conquering Facebook, this is a new mountain to climb and definitely a “major first” for me! During my first fall as a Premier Jewelry Lady, one of my first Hostesses was a cute, young, single-mother. Before her Home Show that evening, she would need to drop her two preschool aged children off at their grandmother’s house. She was worried that she wouldn’t have time between work and her Home Show to “tidy up” her living room and kitchen, so I had promised to arrive one hour early to help. “Just leave the porch light on and the front door unlocked,” I’d said. My husband Jack (he always carried the jewelry in and out for my shows) and I walked in to the MESSIEST HOUSE I had ever seen in my life!! Clothes were scattered everywhere! The kitchen table was still dirty from breakfast – Cheerios and milk, and so forth. We literally could not see the tops of the kitchen counters for all the pots, pans, and dishes stacked there and in the sink. The dishwasher was already loaded with DIRTY dishes, so I just started clearing the countertops and stuffing the dirty dishes in the refrigerator in order to get them out of sight. Most of the scattered clothes ended up under the sofa cushions, and the rest were desperately thrown into the hall closet. When the living room, dinette, and kitchen were spotless, Jack and I were breathless and exhausted! A few moments later, walking towards me from the back of the house, I saw a woman I had never seen in my entire life!! I can only picture how we looked; a man and woman whom she didn’t know, in her house … her now radiantly CLEAN house! After collecting ourselves, we discovered that she was expecting a woman from Sears to come and measure her windows for new drapes and that my real Hostess lived directly across the street! We raced across the street to the REAL Hostess’ home where she had already straightened up and was wondering what on earth had happened to me. We hugged, Jack disappeared (shaking his head and chuckling over this woman he’d married), and I explained to my real Hostess that her neighbor had also left her porch light on and her front door unlocked for the Sears woman for drapes. 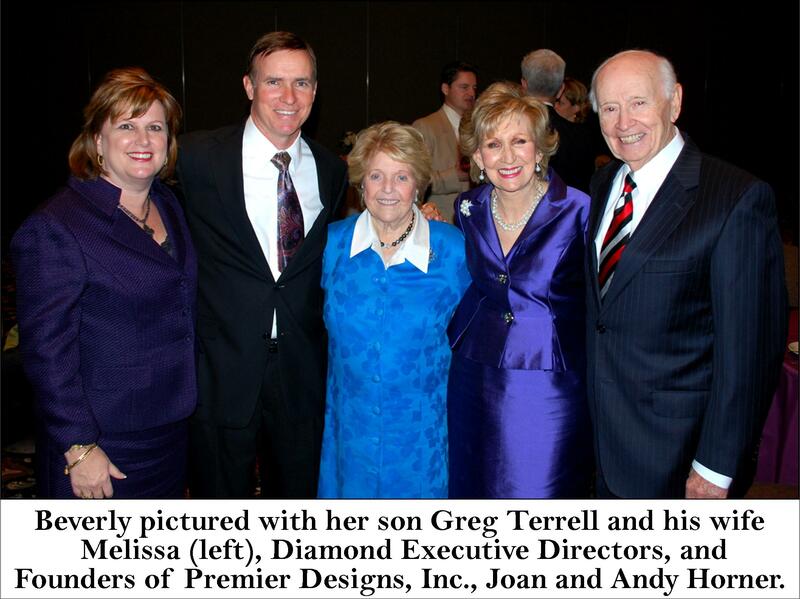 Beverly Terrell is a Silver Executive Director who joined Premier Designs, Inc. as a Jeweler in 1988. She has diligently built her business from Houston, Texas, over her 27 years of service and she’s been honored with some of Premier’s most prestigious awards. In 2004 Beverly received the Tom Hemingway Excellence in Leadership Award for her character, honesty, and deep concern for helping others meet their needs. She was Crowned Premier’s 2005 Princess because of her unselfish example of service, and in 2006 she was the recipient of the Marge Caldwell Encourager of the Year award because she is loving and encouraging to everyone she comes in contact with. 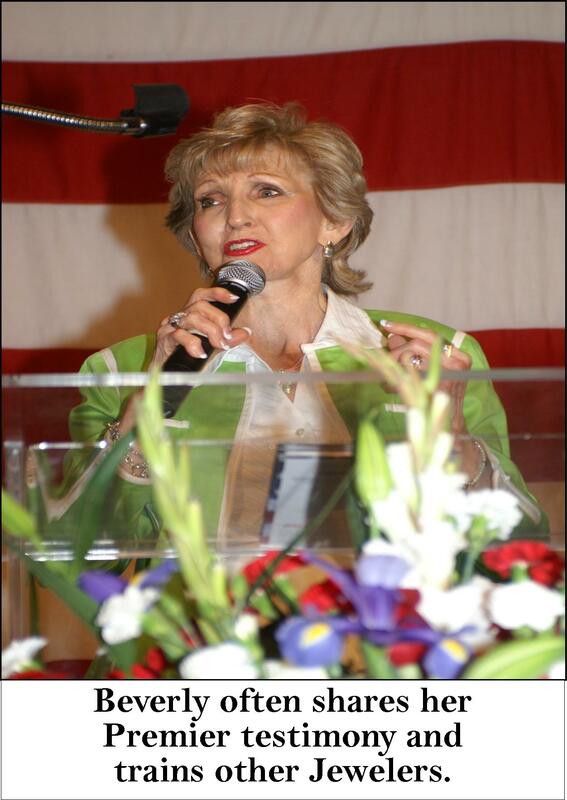 In 2012, Beverly was the second recipient of the Commitment to Purpose Award for fulfilling the Purpose, Philosophy and Objectives of honoring God, growing wisely, enriching lives and providing excellent service. Beverly has a sweet relationship with her Downline who affectionately call her Mimi. When Mimi isn’t pouring into her Premier Family, she’s spending time with her family of three sons,eleven grandchildren and thirty-three great grandchildren. Thanks, Rosa! We are glad Beverly let us share the personal story! She’s such a great Premier Leader! I never get tired of hearing this story! I laugh every time and I even know the ending! We sure don’t either! 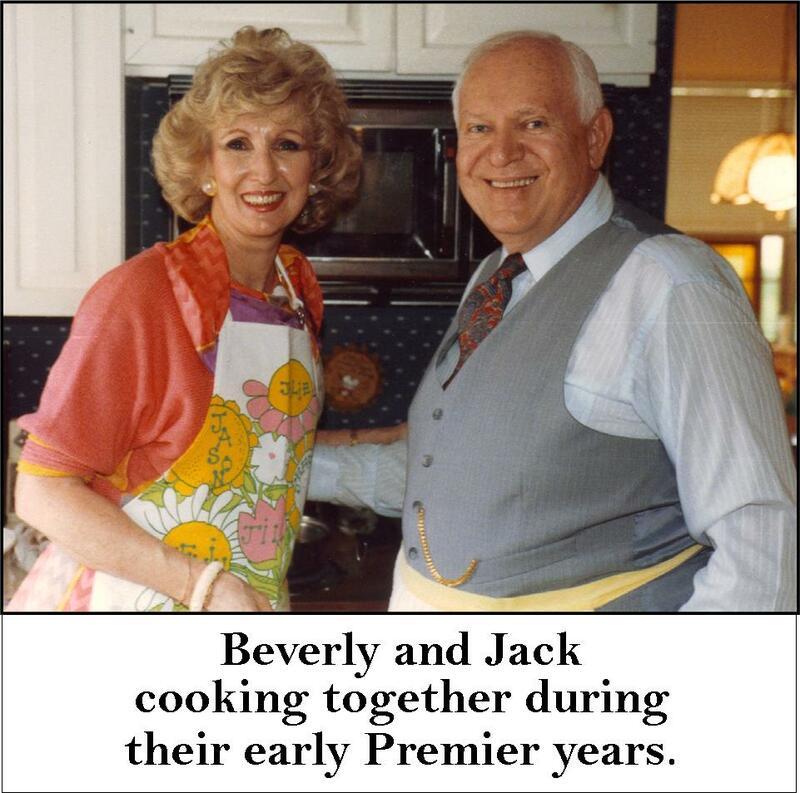 We’re sure you can actually hear Beverly telling you this, right? OMG i really enjoyed this story!!!! Thanks, Marcia! Isn’t it great to hear the personal oopsie moments from our Leaders! This story never gets old!! Hilarious! Love you Beverly!! Great to finally find a contact with you, my friend. Super funny story. You are welcome to come here on a cleaning spree any time. Join me on FB to keep up if you do that.